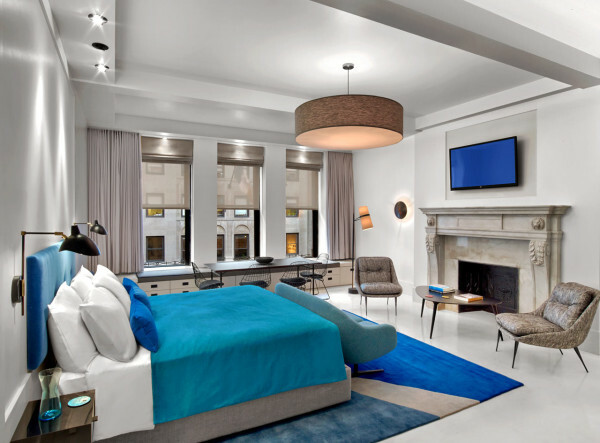 If you’ve ever stayed in a NYC hotel room, you know how they’re usually pretty small and let’s face it, you probably want to spend your time outside roaming the city. 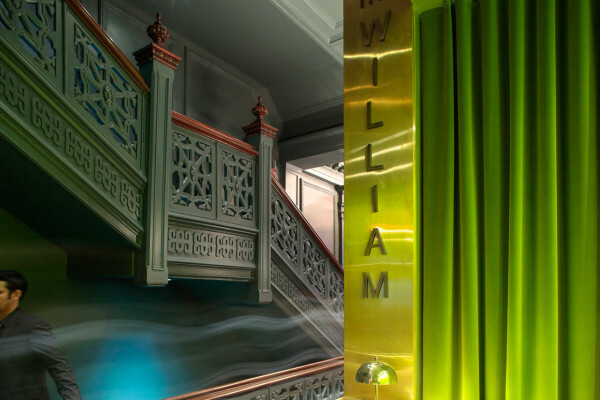 Enter The William. 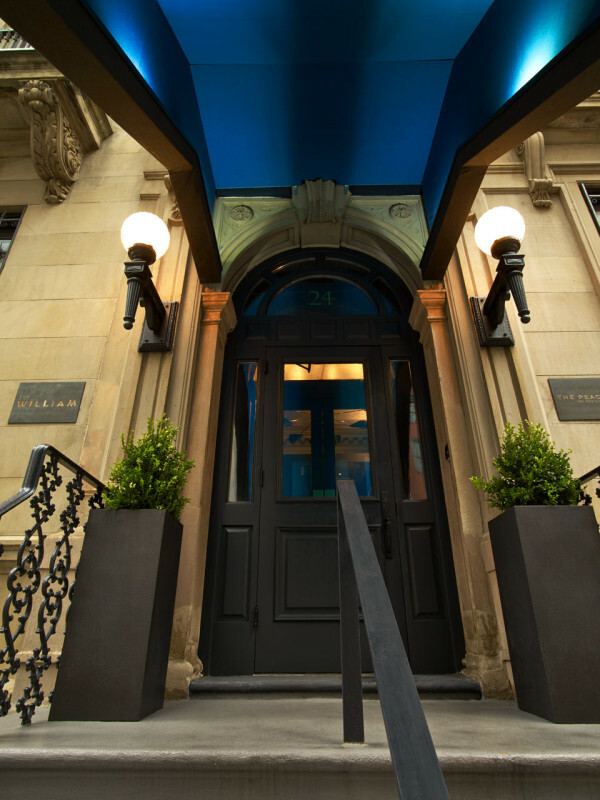 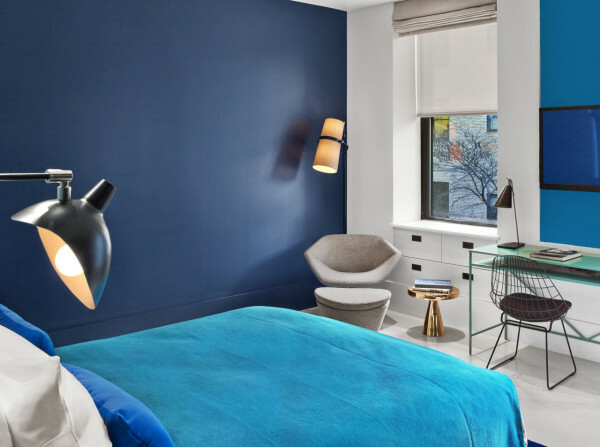 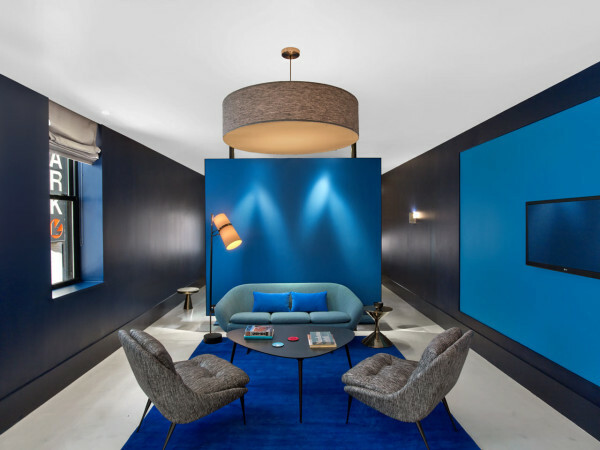 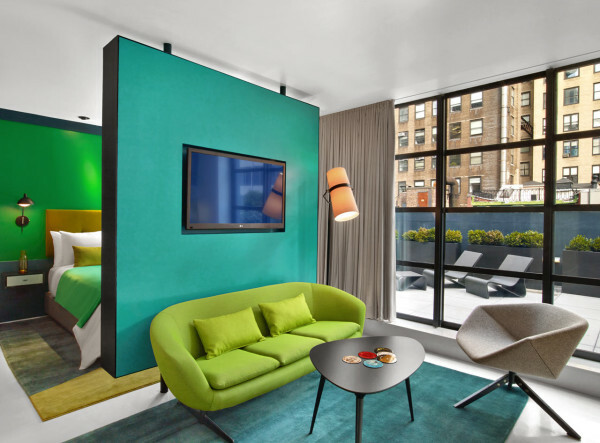 The 33-room, extended stay boutique hotel in Midtown East is hidden behind an historic Manhattan facade that gives way to a colorful surprise once your enter its main doors. 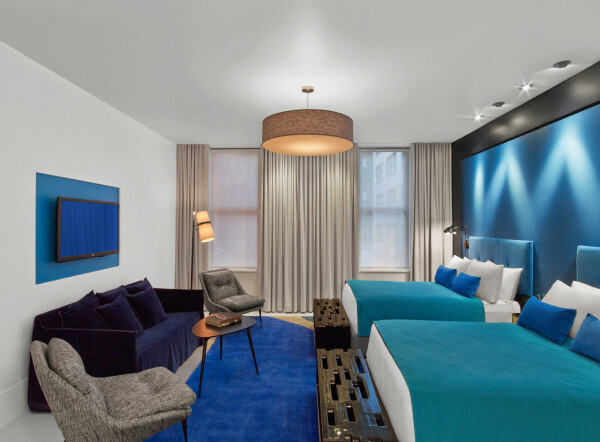 The design came together as a collaboration between In Situ Design (interior architecture and design), William Engel (paintings), and Lilian B Interiors (an intersection of architecture, interiors, and art that blend into a livable three-dimensional painting), and the result is an incredible happy place where guests become immersed in monochromatic palettes of blue, teal, pink, orange, or yellow, depending on the floor. 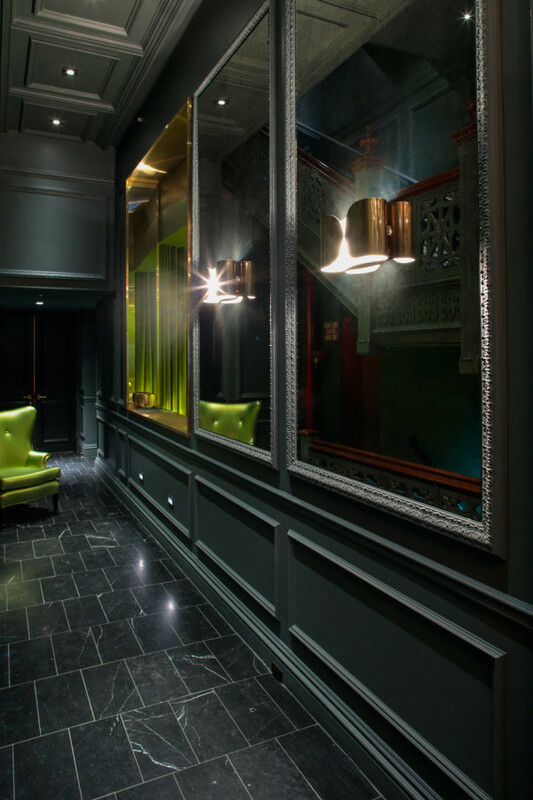 Upon entering, the demure foyer and reception with its grayed out color leads to shifts of green and teal, only hinting at what’s to come. 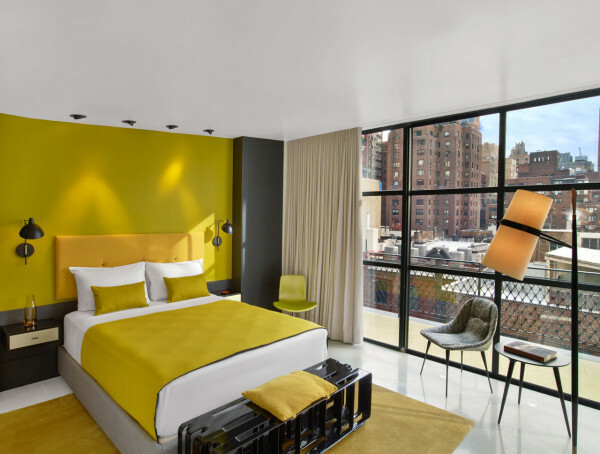 The guest rooms are decked out with white resin floors and white walls and then topped off with that floor’s color motif. 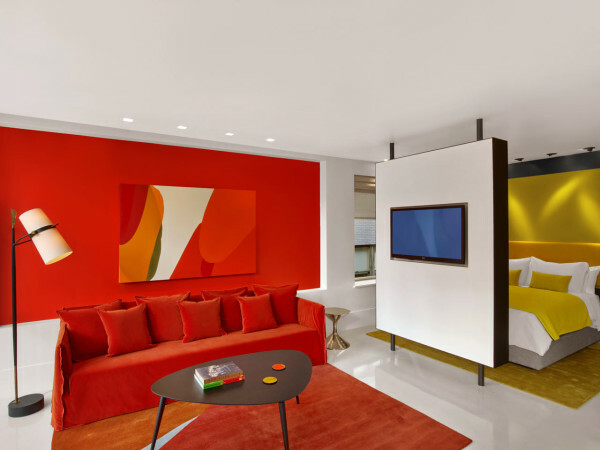 The larger suites include a floating wall that separates the bedroom from the living room area. 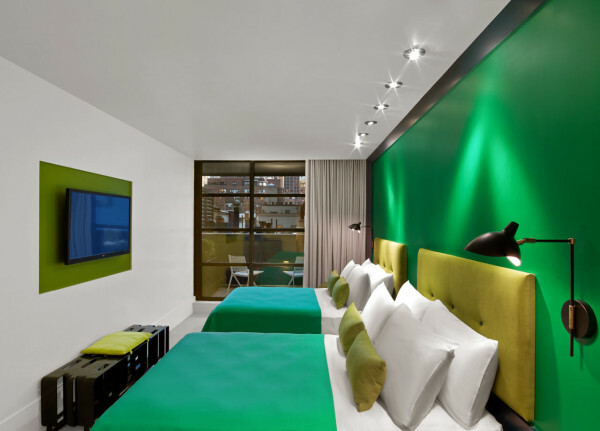 They even have suites with terraces so guests can have outdoor space to enjoy city views. 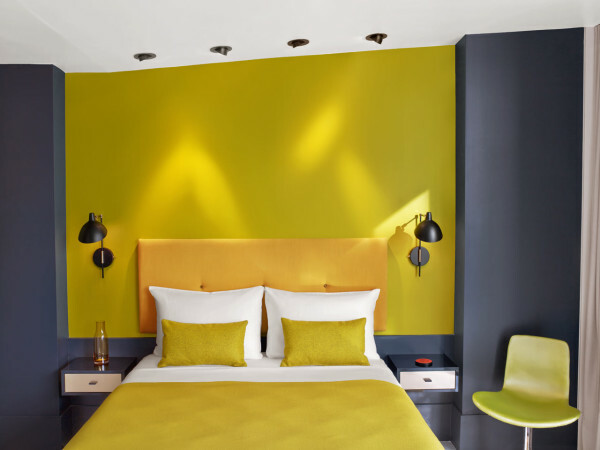 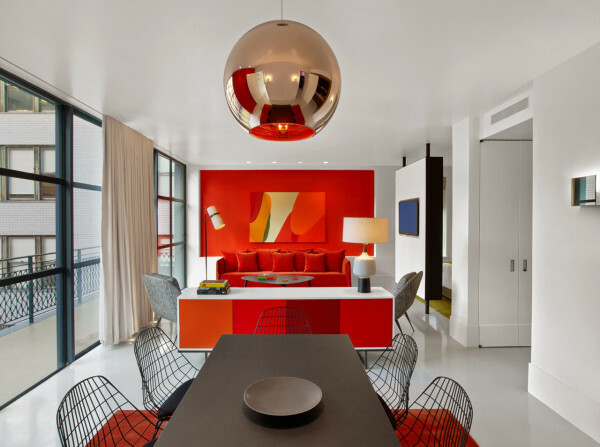 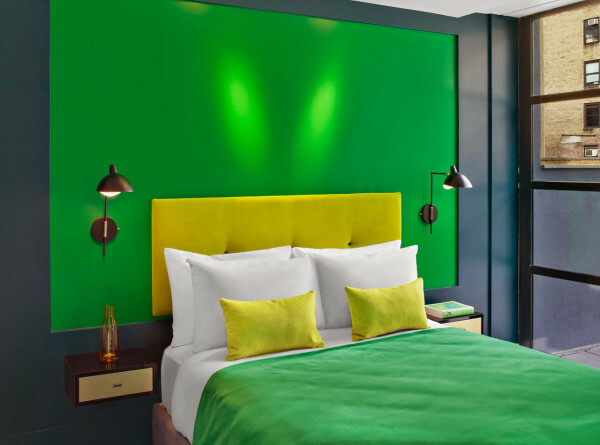 The monochromatic tones mark parts of the walls, furniture, bed linens, and carpets, giving the guest’s eyes a vibrant experience. 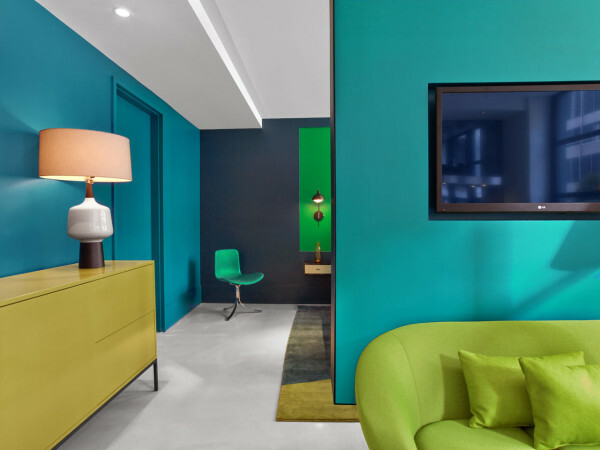 The brilliant colors are balanced out with neutral grays and black. 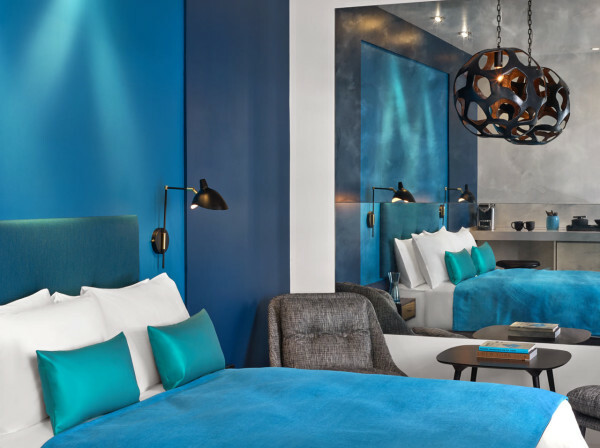 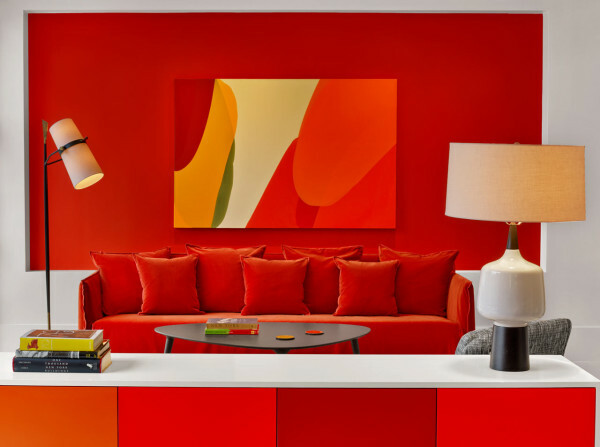 Design draw: A luxurious retreat where art and architecture merge to form a bold hued masterpiece for extended stay travelers.